Brexit minister David Davis has said at a UK parliament committee meeting that the existing free trade agreements with the European Union "provide the floor, not the ceiling" for what London could achieve after leaving the bloc. EU's Brexit negotiator has suggested using CETA as an example for trade relations with the UK after its exit from the bloc. 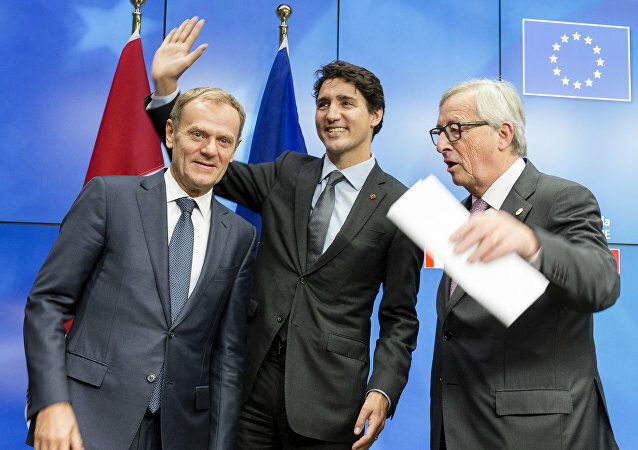 The controversial Comprehensive Economic and Trade Agreement between the European Union and Canada has come into force, troubling campaigners - and a campaigning group has told Sputnik the UK can expect an even worse deal once it leaves the bloc. 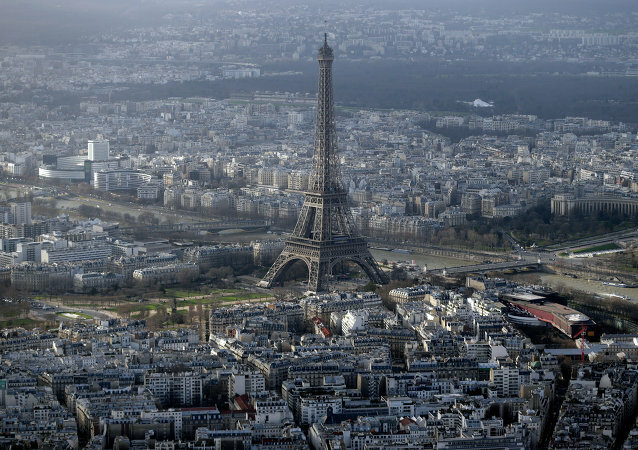 Right-wing French presidential candidate Nicolas Dupont-Aignan believes that France should heed US President Donald Trump’s protectionist policies and review its participation in potential EU-US and EU-Canada free trade deals, the spokesman for the candidate told Sputnik. EU trade commissioner Cecilia Malmstrom has said the Transatlantic Trade and Investment Partnership (TTIP) trade deal between the EU and the US has hit the blocks because US President Donald Trump - who is against the deal - is one of those who treats such deals on an "I win, you lose" basis. Denmark seems to be hell-bent on hammering out the EU's free trade agreement with Canada (CETA) as soon as possible. In doing so, the Danish government is looking forward to killing two birds with one stone: assuring Brussels of its participation and sidestepping civic involvement. 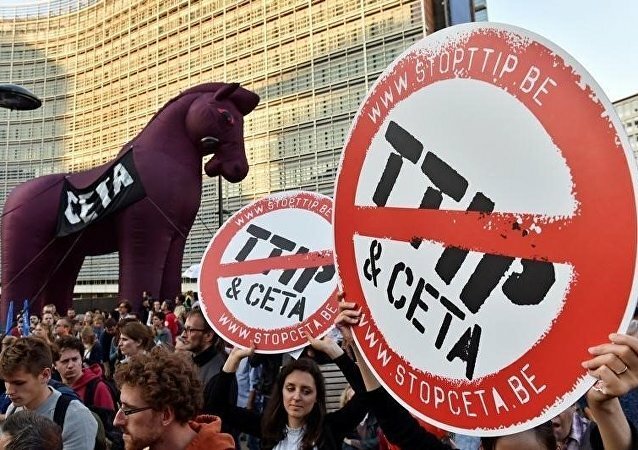 Wallonia - the province of Belgium that held up the controversial CETA EU trade deal with Canada - has warned it may still not ratify the treaty - putting the whole deal in doubt, alongside the TTIP deal with the US that has hit the buffers since US President Donald Trump came to power. A referendum on the Canada-EU Comprehensive Economic and Trade Agreement (CETA) in Croatia, one of the 14 EU member states which can opt for a public vote, is unlikely and would at the moment be useless, as the public is not well-informed and needs a comprehensive debate on the issue, the representatives of Croatian NGOs told Sputnik. 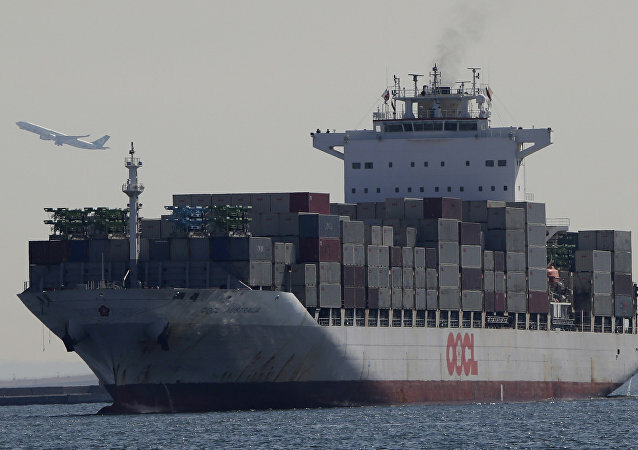 The EU is right to pursue a free trade agreement with Japan which should form part of a wider "pivot to Asia" policy that would open up more markets in Southeast Asia, Patrick Messerlin, Professor Emeritus of Economics at Sciences Po Paris and Chairman of European Centre for International Political Economy's Steering Committee, told Radio Sputnik. More than 100 French left-wing politicians have signed a motion demanding the controversial EU-Canada trade deal - CETA - be referred to the country's Constitutional Court over what they say is an issue of sovereignty. Germany's left-wing Die Linke party will do everything to make the EU-Canadian Comprehensive Economic and Trade Agreement (CETA) an issue in the upcoming parliamentary elections and block its ratification, Fabio De Masi, a Die Linke member of the European Parliament told Sputnik on Wednesday. Belgium's Wallonia region will not agree to ratify the Comprehensive Economic and Trade Agreement (CETA) as its demands have not been met so far, the region's Minister-President Paul Magnette said Wednesday. 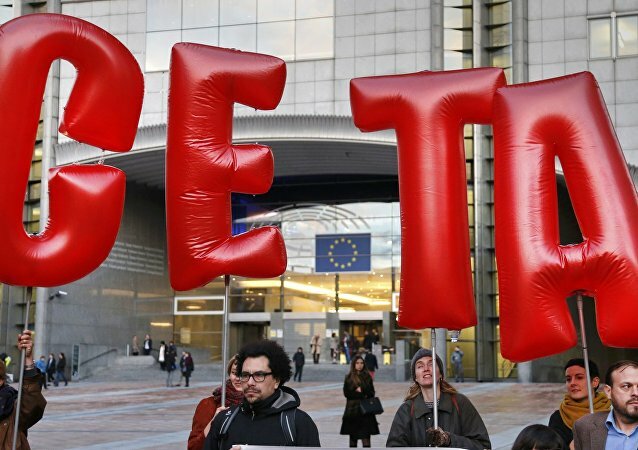 The European Union has shunned public health and environmental concerns in favor of corporate interests by approving the Comprehensive Economic and Trade Agreement (CETA) with Canada, Greenpeace said Wednesday. The European Parliament approved the Comprehensive Economic and Trade Agreement (CETA) with Canada in a 408-254 vote broadcast live on Wednesday. 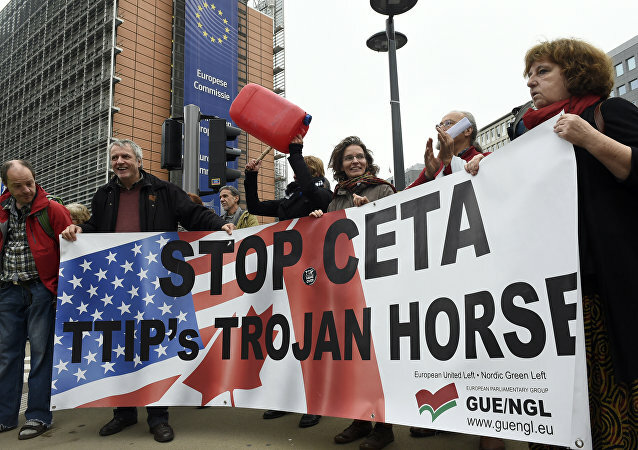 Greenpeace EU trade policy adviser Shira Stanton said that endorsing CETA plays into the hands of populists and extremists from Europe to North America. Members of the European Parliament will on Wednesday (February 15) vote on whether to approve the highly controversial Comprehensive Economic and Trade Agreement (CETA) trade deal between Canada and the EU, with campaigners telling Sputnik that any rejection of the deal would set a significant precedent for policy makers in Brussels. 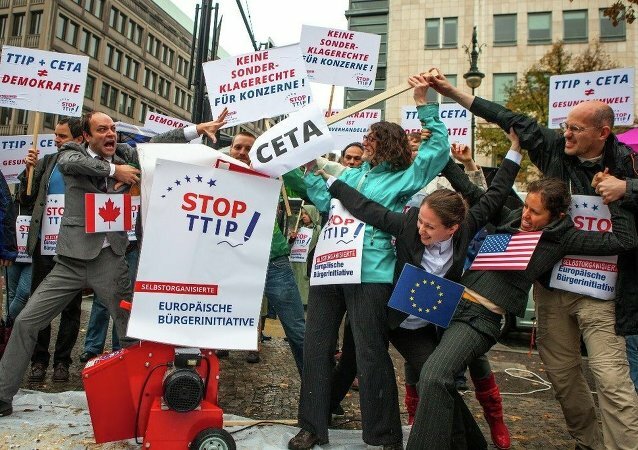 The Greens-European Free Alliance group in the European Parliament has published its resolution calling on the controversial Comprehensive Economic and Trade Agreement (CETA), which they say may "undermine European democracy." The first deliberations in the Austrian Parliament on the petition against the European Union's trade agreements with Canada (CETA) and the United States (TTIP) may start after March 1, when the Interior Ministry officially validates the petition's results, the Austrian Parliament's press-service representative told Sputnik. UK International Trade Minister Liam Fox has been accused of "burying" a parliamentary debate on the controversial CETA trade deal between the EU and Canada, with campaigners telling Sputnik the decision to hold the debate on the same day MPs discuss a Brexit bill shows a "disdain for democracy."